It all began in the parking lot. 98 Mahindra 4x4 SUVs which included modified and stock Thars, Scorpios, Bolero’s and XUVs were parked in a (what we thought to be huge) ground, which looked packed with all the vehicles, what a sight. It was all good up until it was time for the flag off of the 4x4 trail drive. All gathered at the ceremonial arch, but there was no car in sight. 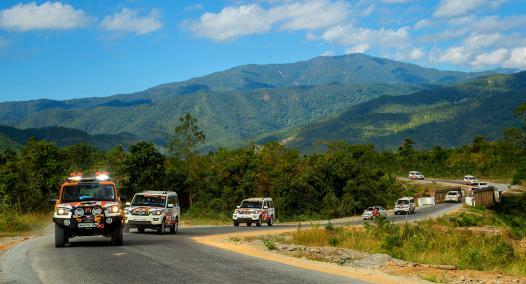 Radio Chatter “The cars are stuck and have to be winched out.” This was the start of the 142nd Mahindra Great Escape in Sakleshpur. Sakleshpur is one of our biggest events and the numbers speak for themselves. Held at the Kadamane Tea Estate – a property that is spread across over 10,000 acres is the home to this great escape. 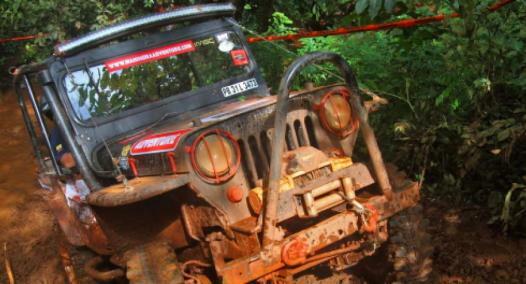 Over the years a number of enthusiasts head to Sakleshpur to participate in the single day off-road event to delve in the spirit of off-roading. Sakleshpur is known for its off-road enthusiasts and the main attraction for this particular event is the trail drive, this is mainly because Kadamane Estate is a private property and no one gets a chance to drive through a sprawling forest within a tea estate, which also happens to be an elephant corridor (if you are lucky you get to see a herd along the way). 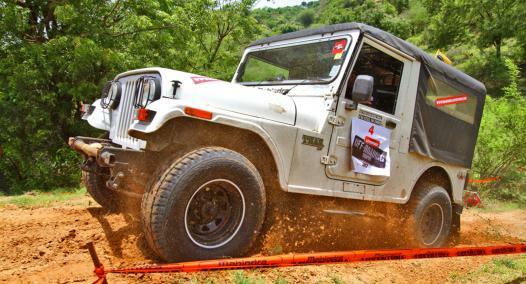 This year the trail drive saw participation from 87 4x4 vehicles from Mahindra’s stable. The 20km long trail was not a cakewalk by any means. 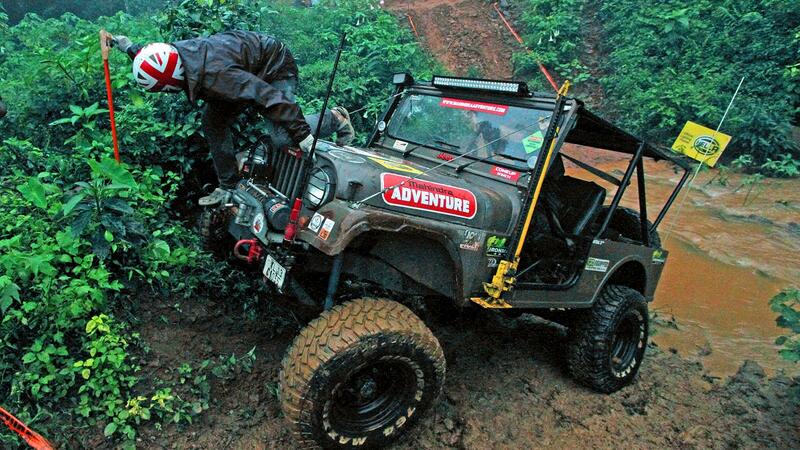 The steady downpour made sure the trail was slushy and slippery making it challenging to drive even in 4WD low. From slippery climbs and descends to waterfall crossings and following trails through the forest, it had it all. Battling all odds, Ajith Kumar bagged the top spot in the modified category followed by Sahad K and Nanaiah in second place. In the stock category Jose Cheeramkuzhy finished first followed by Gagan Karumbaiah in second place. Sapna Gurukar finished first in the ladies category.